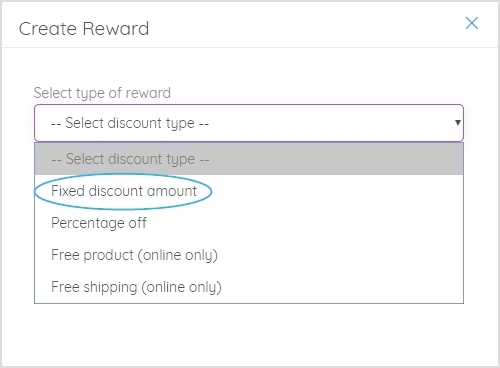 Your $ off spend threshold reward will now show on the Rewards page of your loyalty widget and is ready for your members to redeem. 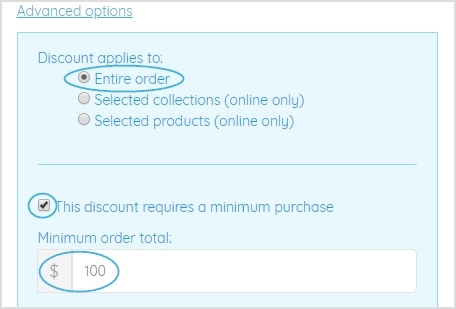 Your customers redeem their discount code at checkout as they normally would, however if the subtotal of their order is below your spend threshold, they'll get the message "Your cart does not meet the requirements for the discount code" and they wont be able to apply the discount until they increase their subtotal. 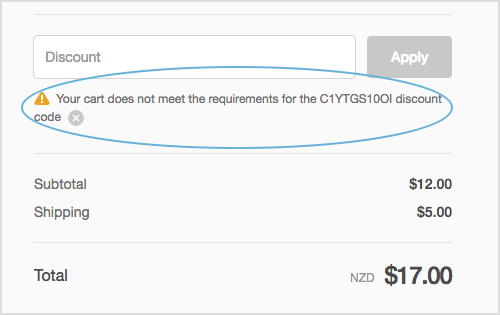 📝 Note: It's important that the title and the terms of your reward make it clear what the minimum spend is, so that your members understand how to redeem it.